"He is fit and ready to go here which looked a better option than Kelso before he heads to Sandown on the last day of the season. Solid chance." Came down at the first flight at Kempton a week ago but it was a soft fall, just one of those things and hasn't affected his confidence as he schooled very well yesterday. He has been second on his previous starts for us and that form gives him a leading chance as he won twice on the flat in France on very testing ground and this doesn't look the most competitive novice hurdle. It is also in the back of my mind that by running here Ashutor qualifies for the final of a £100,000 race on the last day of the season at Sandown. 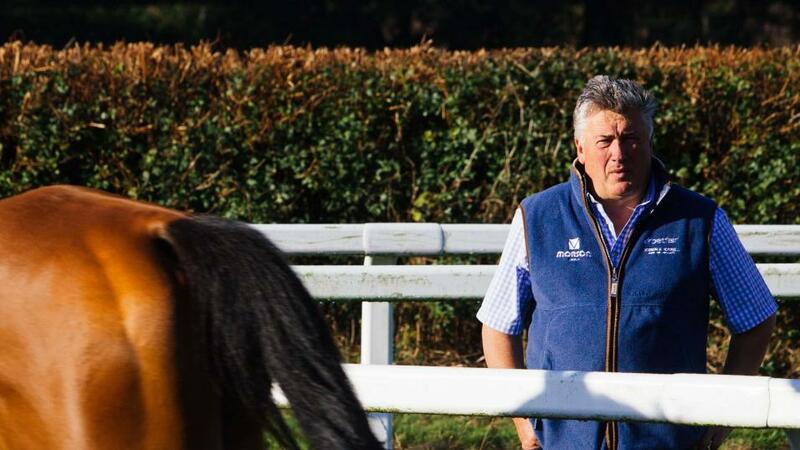 He is taking his time to get the hang of things and showed his inexperience when only eighth to the smart mare Elusive Belle on his racecourse debut at Wincanton early this year. I was hoping he might take a step forward at Chepstow a month ago but he again ran green through the race before tiring late on in the race won by Dickie Diver. On what I've seen so far Nineohtwooneoh still needs time and will be a better proposition next season once he has strengthened up over the summer. Basically she is a sound jumper yet somehow she has ended up without her jockey in three of her four starts. So you could say Kupatana was a bit of a challenge when she joined us from Nicky Henderson's at the end of January. We know she is talented but she does now need to put it all together at Kelso. Her schooling has been fine since her latest mishap on her debut for us when she fell two out at Ludlow just as she was starting to draw clear of Kayf Blanco. That was so disappointing as she didn't deserve to fall. With a clear round she must go close. My plans to run him in the Fred Winter at Cheltenham were scuppered when he just failed to make the cut there which was disappointing. Normally his rating of 128 would be sufficient to get in but not this time. We do like Friend Or Foe who joined us from France in the autumn and won nicely on his debut for us at the end of December at Taunton where he jumped tidily, made all the running and was well on top at the line. He is fit and ready to go here which looked a better option than Kelso before he heads to Sandown on the last day of the season. Solid chance. He is a sound stayer who will be suited by the trip of three-and-a-quarter miles at this stiff track. Patient tactics paid off for Worthy Farm last time at Ascot where he cruised into the lead and found plenty when challenged by Trixster. He is the type of horse who travels kindly and always saves a bit for himself. Harry Cobden said he was never going to let anything past him once he hit the front at Ascot. As Worthy Farm was raised 7lbs for that win it makes sense to book Lorcan Williams who is great value for his 5lbs claim. Favourite's chance. Testing conditions at Bangor will suit Unioniste who can hopefully give his enthusiastic owner rider David Maxwell another winner in his quest to be champion amateur. This horse has been a great trooper for us down the years and while he is not the force of old and now struggles in handicaps, going hunter chasing has given him a new lease of life. David has won twice on Unioniste who has come on for his recent run at Taunton and looks to have a decent chance in this. Friend Or Foe in the 14:40 at Newbury - In good form at home and can make up for missing Cheltenham.